Here at Morton East, more students thought that The Conjuring was the scariest movie on Netflix — more than Children of the Corn and Insidious. In a random survey of 130 Morton East students, 73 percent of the students said that they think The Conjuring is the scariest movie on Netflix. According to The Wrap, it states that The Conjuring is based on real-life events. (That little museum or the paranormal that they show in The Conjuring is also in the actual Warren’s house in real life.) Even Annabelle is based on the real doll that existed except they made her look completely different in the movie than how she looks like in Warren’s museum. (The real doll is actually a Raggedy Ann doll — not nearly as terrifying as the doll that was portrayed in the film.) The article says that after the doll was in the Warren Museum, it might have inflicted its evil on someone else because, according to the Warrens, there was a couple laughing at the doll. Afterwards, while riding away on the motorcycle, they mysteriously lost control and crashed into a tree. “The Conjuring was so scary that I couldn’t even sleep for two days!” senior Adan Ortiz said. The second scariest movie on Netflix was Children of the Corn with 13 percent. “The first time I watched Children of the Corn I found it really creepy,” senior Anthony Figueroa said. In our survey, about 25 percent of the students chose the other option from our column. The third scariest was the Insidious trilogy with 9 percent. “I chose none of the movies because I thought that none of them were interesting nor scary to me,” junior Julian Mora said. A woman carrying the Annabelle doll on a rocking chair. 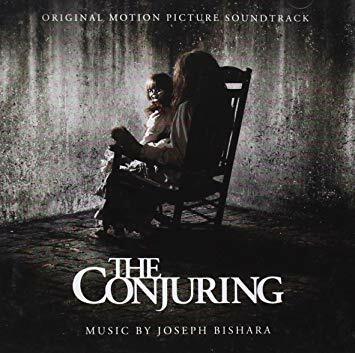 I have not see the movie the conjuring I think is something to take very serious and do not think is just a movie is something that happen in real life like true events. But I think with what I just read it make me change my mind and now I what to see the movie at least with a friend. Very good job and hope I get to see the movie now. I feel that new scary movies are preferred over the old school because there is more advanced technology that helps the movies look more realistic. Old school scary movies could not make things seem realistic. Now a days the death scenes in scary movies seem realistic. I think that the reason why new scary movies are preferred is because today there is more advanced technology that helps improve the content of the movies. Old school scary movies do not look as realistic as the new scary movies today. Now a days death scenes in scary movies are really realistic.